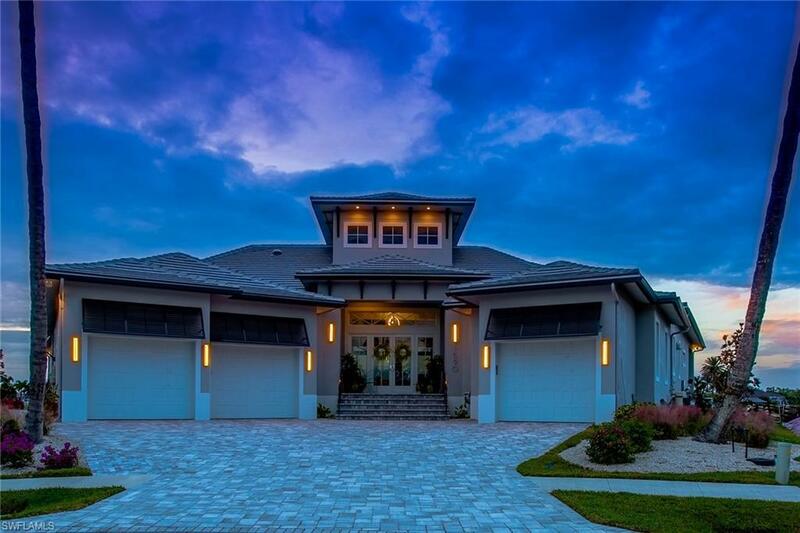 One of only 2 lots on Marco Island that has both water frontage and a golf course view. 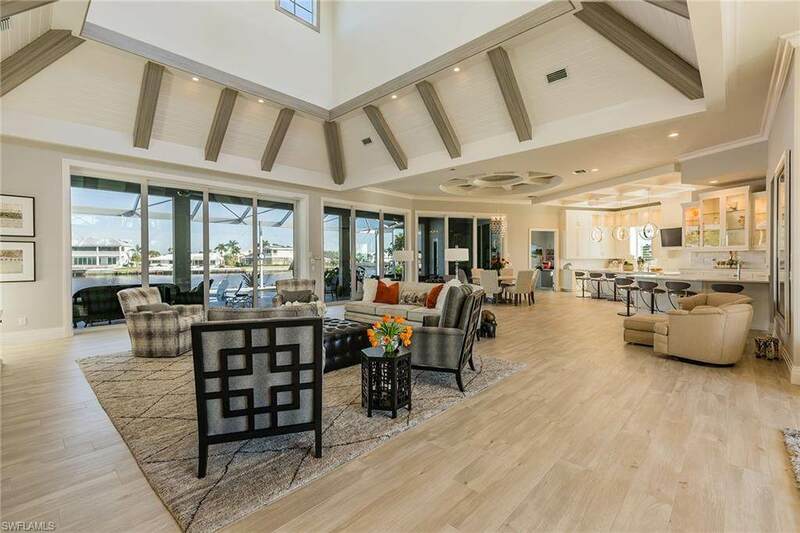 Built in 2017, this Contemporary 3 bed/ 3.1 bath has 167 ft on the water and is located on #16 at the Island CC. 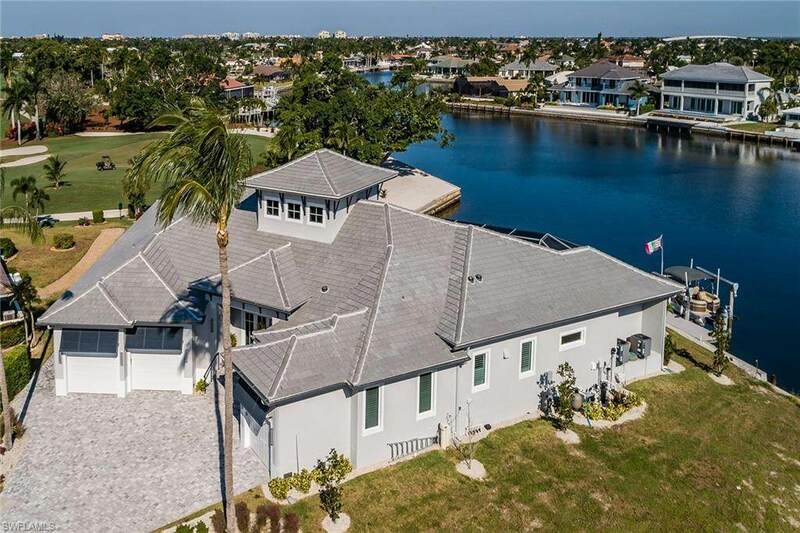 With views of intersecting canals, this great room plan has a 25 ft cupola, office with built-ins, an oversized pool with a spa, (both are gas heated). 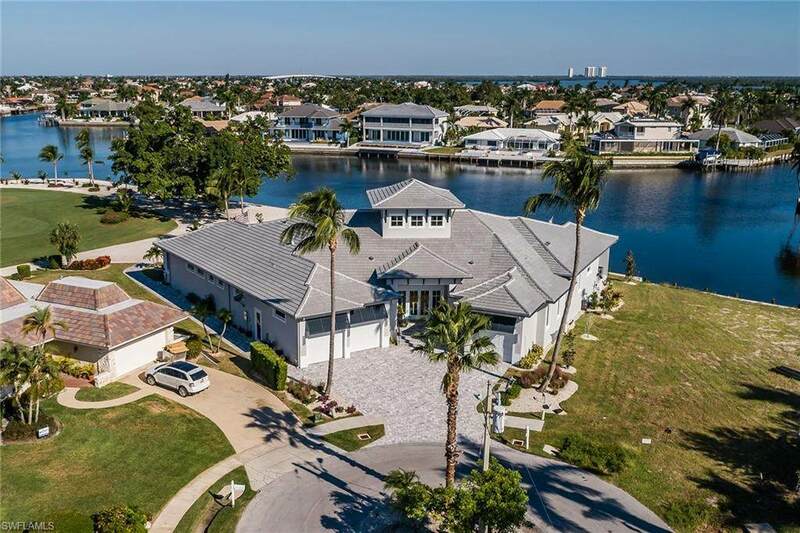 Features include a new seawall (2016), an 18 x 30 Koi pond, an 1198 SF Lanai with Picture Screens, a Composite Dock with a 10K lb lift. There is a 4 car tandem garage and a separate Golf Cart garage.